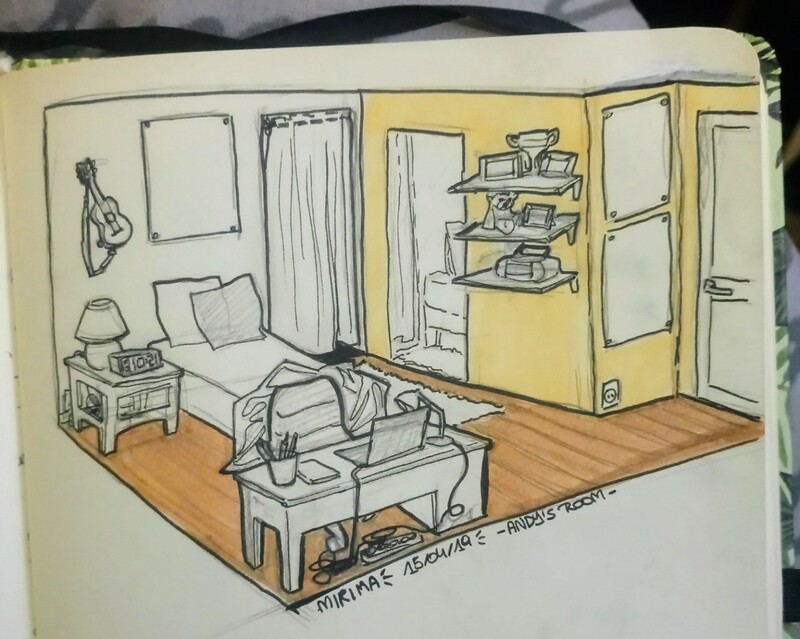 I scribbled Andy&apos;s bedroom at his parents&apos; place! These are fun actually, like, ofc it&apos;s far from being correct perspective-wise but I enjoyed drawing it so I think that&apos;s worth it! @Mirima You're so very welcome. I'm fortunate to have been raised in an art-rich environment. I lack the talent, but my sister is simply amazing, and art has always amazed me!